Sometimes traditional will not do and you need to opt for modern statement pieces that illuminate and add magic to your home interiors! The epitome of a statement light; the Stunning 5 Light Chandelier is perfect for creating a stylish and modern industrial style touch to your home. 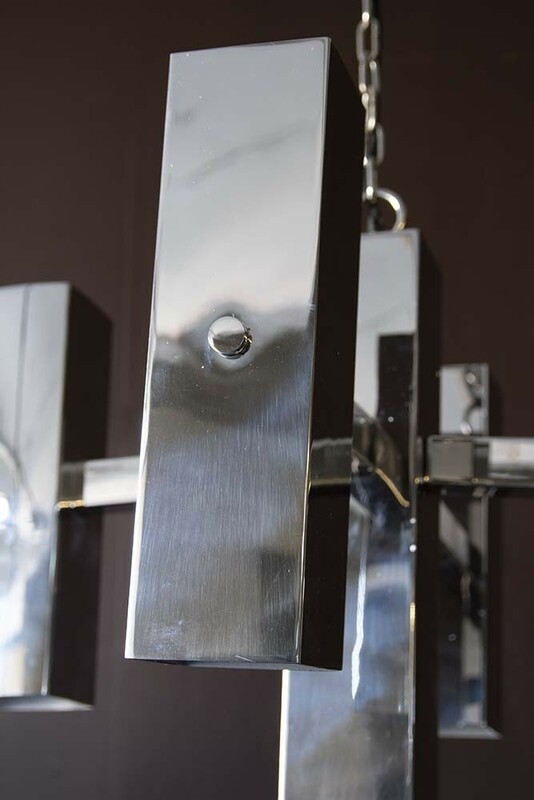 A modern design lighting feature the luxe chrome silver frame is a glamorous and eye-catching geometric piece with 5 lights cased in an industrial-style chrome case. 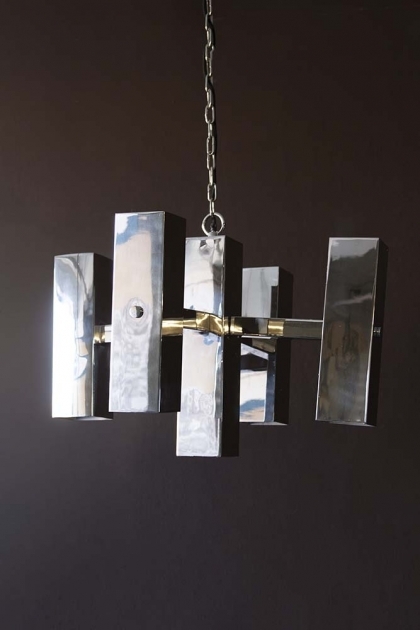 A truly spectacular ceiling light, style your chandelier in your hallway, living room, bedroom, guest bedroom, or even the kitchen to add that extra ‘wow-factor’ to your home.